When it’s time to make your checklist, gather your tax documents, and then head over to see your tax preparer, people often forget certain receipts. Canadians often overlook miscellaneous deductions and tax credits that can save you hundreds. One tax credit is the use of public transportation. Perhaps you rely on public transportation to get to work every day or maybe you just spent a few months taking the bus before purchasing your new car. No matter the circumstance, if you purchased any type of public transportation passes in the last year, you are eligible to claim these expenses when you file your taxes. The code, Line 364, is easy to read so you can identify what passes are eligible. While monthly and annual passes are a given, short-term passes can also qualify so long as they meet specific requirements. Expenses on electronic payment cards may also be eligible. The carbon tax introduced in Alberta, B.C. and Quebec have been the topic of much debate since the first measure was introduced in 2008. It taxes carbon emissions by the tonne and is meant to give Canadians and businesses an incentive to use renewable alternatives. Its champions, such as PM Justin Trudeau, see it as a reasonable approach to fight climate change and its critics argue that the carbon tax is an unnecessary burden on Canadian families. No matter where you stand, if you live in a province that has implemented a carbon tax, you will pay more if you take a gasoline-powered car as your primary form of transportation. This is because the more we use, the more we pay, because Canadians are paying more at the pump as a result. More provinces are expected to implement a carbon tax, with Ontario set to introduce their own in 2018, so it would be prudent to find alternative forms of transportation to save on daily carbon emissions. 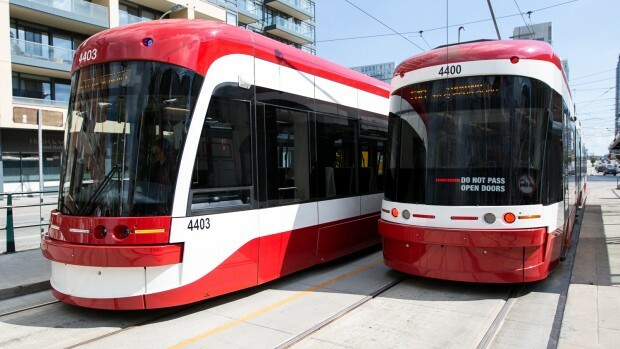 Expenses for public transportation are no more important than any of the numerous deductibles and tax credits that are often overlooked by Canadian taxpayers, but it is worth noting that taking public transportation can benefit you in more ways than one, when it comes to your taxes. If you haven’t already, consider using public transportation (if available) as much as possible in the coming year, so that next tax season you are in a better position to claim the tax credit. While you’re at it, take pleasure in knowing that you’re also on one end of a win-win situation, with yourself and the planet both benefiting from your “green” action.